Joseph Allen Rider was born on April 22, 1995 to Leroy and Kim Rider at Forest General in Hattiesburg, MS and died on January 30, 2019. Joseph grew up in Petal, Mississippi and graduated from Petal High School in 2013 with special honors. He also was a graduate of Jones Community College and was enrolled in the nursing program at USM. 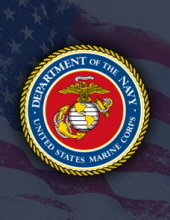 Joseph was a Lance Corporal in the U.S. Marine 4th Air Wing. Joseph was an active part of St. Thomas Catholic Church in Hattiesburg, MS, attending mass regularly and serving as an usher. He was a first-degree member of the Knights of Columbus, often participating in charity and fundraising events. Joseph also enjoyed fishing, hunting and working out at the gym. Joseph leaves behind a large loving family. He will be missed by his paternal family including great aunt Beth Smith McClennan and great uncle Barney Congdon both of Albany, MO; uncle William Rider of Independence, MO; uncle James Rider and uncle Mancel Rider both of Orville CA; aunt Tracey Durham of Kansas City, MO; cousin Kathy Congdon of Long Beach, MS. He was pre-deceased by his uncle Joseph “Joe” Rider. On his maternal side he will be missed by his grandfather Bob Wilson (Mary Wilson) of Tovey IL; step brother David Madaus (Jeanie Madaus) of Tovey, IL; aunt (and godmother) Kelly Wilson (Jennifer Wilgocki) of Madison, WI; aunt Stoney Bourne of Oak Grove, MS; aunt Cheryl Turnage (Jeff Turnage) of Hattiesburg, MS; cousin Shane Wilson (Lyn Pollan) of Oak Grove, MS; uncle (and godfather) Michael Wilson (Jennifer Wilson) of Portland, OR; aunt Donna Wilson of Petal MS; cousins Taylor Baker and Terrence Junior Baker of Hattiesburg, MS. Joseph’s family will most of all miss his dancing, his laughter, and his big heartedness. Joseph leaves behind many true friends, but most especially his closest friends Mitch Neel and Gavin Walker. His beloved sister, Jenna Rider (Dallin Hall), was his “twin” in life and his closest companion. The celebration of life for Joseph will be begin with a wake at Moore Funeral Home in Petal on Sunday February 3, 2019 from 5:00 – 9:00pm. Funeral services will be held at St. Thomas Aquinas Catholic Church on Monday, February 4, 2019 at 10:00am. Burial will follow at Hillcrest Cemetery in Petal, MS. In lieu of flowers, the family asks that you please consider making a donation to the Wounded Warriors Project. To send flowers or a remembrance gift to the family of Joseph Allen Rider, please visit our Tribute Store. "Email Address" would like to share the life celebration of Joseph Allen Rider. Click on the "link" to go to share a favorite memory or leave a condolence message for the family.